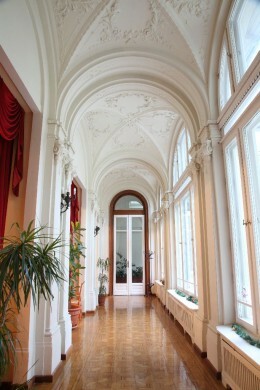 The foundation of the Archives was due to an Act of the Constitutional Court of Hungary. In 1994, the Constitutional Court was examining the constitutionality of the law that had ordered the lustration of people in important public positions. They stated that the Parliament acted against the Constitution by not providing for people’s informational self-determination when they ordered their lustration. At the same time the Parliament was obligated to make an end to this anti-constitutional situation by legislating people’s right to become acquainted with all the personal data gathered and kept by State Security Organizations. Modifying the Law of Screening in 1997, the Parliament set up the Historical Office, which was archives despite its name. In 2003, as a by-product of the scandal following the publicity of the State Security past of the then Prime Minister, Parliament founded the Historical Archives of the Hungarian State Security (hereafter: Historical Archives or ÁBTL) by a new Act. The Historical Archives is the legal successor of the Historical Office. Since 2007 the on-line journal Betekintő of ÁBTL has become better and better known, and is regularly referenced by historians. The aim of this journal is to publish documents of the state security services before 1990, to present the organization, operation and the methods of the secret police, and to publish articles about state the security services before 1990. As far as the conferences organized by the Historical Archives are concerned, among the speakers not only our own scholars and researchers can be found, but also well-known professionals from Hungary and abroad. In addition, our colleagues provide information on their recent research results and achievements at national and international conferences. Exhibitions organised by ÁBTL also serve the aim of education. These exhibitions usually are touring exhibitions in Hungary and abroad. The Historical Archives of the State Security launched a series of lectures in 2011 entitled Historical Café (Történelmi KávéháZ) which take place every second Thursday afternoon each month. The aim if this program to present the scientific research of ÁBTL. It is open to visitors and guests who can listen to the lectures and participate in discussion. Rehabilitation of the victims is not one of the Archives’ responsibilities. This problem was settled by the Acts of Annulations and Amendment. The Act of Annulations had already annulled the political sentences, and the Act of Amendment had given financial amendment well before the legal predecessor of the Archives was established. Amendment is still going on in one field: partakers in the 1956 Revolution may get a pension supplement. The Archives can give them the documents that prove that they are entitled to get that supplement in a significant number of cases. Victims who turn to our institute often need personal attention as well, which they get from the Archives if possible. The Historical Archives is a state-owned special Archives. The responsible leader of the Archives is the Director-General. The Director-General and the Deputy are chosen by open competition and nominated for seven years by the President of Parliament. Before the nomination, the candidates are interviewed by the National Security Committee and the Cultural Committee of the Hungarian Parliament. The rules of incompatibility are very strict. Nobody who has been a member of the Government, a State Secretary, an official or employee of a national organization of one of the political parties in the past ten years before the nomination can become Director-General or Deputy Director-General. The same regulation applies to those who were employed by the former State Security Organizations, received their reports or acted as an agent. Any person in this position can pursue an extra profession only in the fields of science, education or the arts. 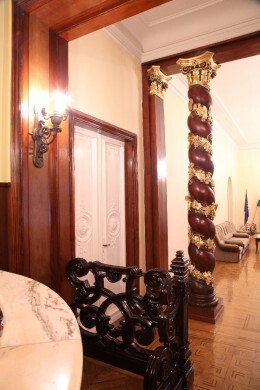 The work of the Historical Archives is controlled by the President of Parliament. The Director-General has to report annually to the committees that interviewed him or her before his or her nomination. The circumstances under which the mandate of the leaders of the Archives ceases to exist are regulated by law. This rule practically ensures absolute independence for the institution. The Archives is a national institution with no regional organs. The number of employees is 99. The Archives is an independent, publicly financed institution. The budget is defined by Parliament in the annual budget law. According to experience so far, sources are continually available. No elections or government crisis have endangered continual work so far. shall perform the tasks specified in the Archival Act. c) and the committee controlling certain persons performing important, public confidence and public opinion forming positions. 13. public servant: any person, who exercises public power or was designated for a position entailing the exercise of public power and who forms or formed the political public opinion pursuant to his task. (3) It has to be stated separately in connection with each data that the person concerned shall be classified as a person under observation, a professional employee, a collaborator, an operative contact person or a third party. The legal status of the person concerned shall be stated in respect of the particular data by examining which purpose the data capture served for. Article 2: (1) The previous security status of the data to be found in the documents falling under the effect of the Act shall cease to exist by virtue of this Act, except if the classification of the data is maintained by the person entitled thereto pursuant to paragraphs (2)-(3) under the Act LXV of 1995 on the State secrets and service secrets (hereinafter as the Secrecy Act). e) was produced during the proceedings of the judges controlling certain persons performing important, public confidence and public opinion forming positions, if as a result of the procedure its subject renounced or initiated his dismissal. h) its becoming known to the public would violate overtly or detectably the national economy interests of the Republic of Hungary. Article 3: (1) A person under observation, a third party, a professional employee, an operative contact person and a collaborator may get to know and may make known the personal data included in a document managed in the Archives, which can be brought into connection exclusively with him. (2) A person under observation may get to know the data necessary for identification of a collaborator, operative contact person and a professional employee who can be brought into connection with him. (3) A person under observation and a third party may get to know, and with the consent of the third party or the person under observation, he may make known the data recording or describing the personal contacts established between the person under observation and the third party (e.g. data gathered on personal meetings, conversations). Article 4: (1) A scientific researcher may get to know the data contained in the documents controlled in the Archives, within the limits laid down by paragraphs (2)-(3) and may use them in compliance with Article 32 of the Act LXIII of 1992 on the protection of personal data and the publicity of data of public interest. (2) A scientific researcher may get to know the data about the state of health, the harmful habit and sexual life after thirty years following the year of death of the person concerned. If the year of death is not known, the time of protection shall be ninety years as counted from the birth of the person concerned, and if neither the birth nor the death time is known, it shall be sixty years after the production of the archival material. (3) A scientific researcher may get to know the data concerning the racial origin, the national, nationality and ethnic status, the religious or other ideological persuasion – within the time of protection – in an anonymized form. The advisory board defined under paragraph (2) of Article 23 of the Archival Act authorizes the familiarization without anonymization if the purpose of the surveillance can be brought into relation with the racial origin, the national, nationality and ethnic status, and with the religious and other ideological persuasion and the scientific researcher proves that his familiarization with these data is indispensably necessary for his research started earlier, supported by publications issued in professional journals. Article 5: (1) Anybody may get to know and may make known in anonymized form the documents controlled in the Archives. (2) The data of the person concerned may be familiarized with after thirty years following the year of his death – within the limits of paragraphs (3)-(4) – without anonymization. If the year of death is not known, the time of protection shall be ninety years as counted from the birth of the person concerned, and if neither the birth nor the death time is known, it shall be sixty years after the production of the document. (3) The data on the racial origin, the national, nationality and ethic status, the religious or other ideological persuasion, the state of health, the harmful habit and the sexual live may not be familiarized with until sixty years after the death of the person concerned even in anonymized form. If the year of the death is not known, the time of protection shall be one hundred and twenty years as counted from the birth date of the person concerned, and if neither the birth nor the death time is known, it shall be ninety years after the production of the document. d) to the familiarization with which the person concerned agreed in writing. (5) The data not anonymized may be made public by anyone. (6) If the applicant wishes to get to know data necessary for the identification of the publicly acting collaborator, professional employee or operative contact person, the Archives shall request the public servant concerned to make a declaration whether he/she recognizes his/her capacity as a public servant. If in fifteen days after the receipt of the invitation the person concerned makes a declaration that he/she does not recognize his/her public servant’s capacity, the Archives shall refuse the application for the familiarization with the data; otherwise it fulfils the request for familiarization. A legal remedy may be resorted to against the decision of the Archives under the provisions of Article 29 of the Archival Act, during which the Court takes up a position on the public servant’s capacity of the person concerned. The judge of the Municipal Court of Budapest designated for this task shall proceed in the case. If the Court classifies the person concerned as a public servant, the Archives shall satisfy the application for familiarization. Article 6: (1) A person under observation and a third party may prohibit in a written declaration the research of the data under Articles 4-5 for ninety years after the production of the data at most. (2) After the death of a person under observation or of a third party the rights due to him under this Act may be exercised by the dependent of the deceased, except if the deceased prohibited it in writing or it is excluded by the law. The person who was authorised thereto in writing by the person under observation or the third party shall also have the right to get to know the documents. (3) The person concerned may enforce his right to correction in respect of the data included in the documents, applying to him, by attaching the correct data containing note to the document with leaving the original data unchanged. Article 7: (1) The official or employee of the authorities under the guidance of the Minister of Defence, of the Minister supervising the civil national security services and of the Minister of the Interior, as well as of authorities performing other public tasks may inspect in the matter falling to his/her scope of authority into the personal data contained in the documents deposited in the Archives in case if required for the performance of his/her task stipulated by law, after the prior approval by the National Security Committee of the Parliament or in cases necessitating specially prompt actions with his subsequent information. (2) In case of the courts the prior approval as contained in paragraph (1) is not required. Article 8: (1) It is the Archives that handles the documents falling under the effect of this Act with the exception of documents containing the data specified in paragraphs (2)-(3) of Article 2. The Archives shall be the legal successor of the Historical Office. (2) The Archives shall be a publicly financed organization with independent, complete economic management authority, an independent heading within the budget section of the Parliament. d) shall perform the tasks specified in the Archival Act. (4) The operation of the Archives shall be supervised by the Chairman of the Parliament. (5) The Archives shall be headed by the Director General. The Director General and his Deputy after hearing the opinion of the Director General shall be appointed by the Chairman of the Parliament for seven years. The selection of the candidates shall take place by way of open competition. The candidates may be appointed if they have been heard previously by the National Security Committee, as well as the Cultural and Press Committee of the Parliament. e) the Chairman of the Parliament states incompatibility against him. b) cannot perform his job tasks continuously beyond 90 days for health reasons. (8) The Director General (Deputy Director General) shall be deemed as unworthy of his post if the Court has found him guilty by a legally binding judgement in committing an intentional crime or if he fails to accomplish his tasks for any reason attributable to him. Article 9: (1) The Director General (Deputy Director General) of the Archives may not be the person who was a member of the Government, Under-secretary, an office-holder or employee of the countrywide organization of a party in the ten years preceding the time of appointment. Neither may the Director General (Deputy Director General) of the Archives be any person who was employed by the Office Division III of the Ministry of the Interior or by its predecessors or received their reports or was a collaborator or operative contact person who had maintained contact with the said agencies. (2) The Director General (Deputy Director General) of the Archives may not accept any assignments other than a legal relationship of assignment under scientific, educational, artistic, copyright and patent protection, moreover aimed at literary advising, copy editing activities, may not pursue any salary-earning profession, may not be a lead official of an economic association or member of a supervisory board. (3) The emergence of the reason of incompatibility shall be notified without any delay to the Chairman of the Parliament. The reason of incompatibility shall be terminated within 30 days after the appointment or the emergence thereof. (4) The Director General shall report annually to the committees of the Parliament set forth in paragraph (5) of Article 8. (5) The Director General shall exercise the data classifying authority power provided by the Secrecy Act in respect of the systems and measures destined for the protection of data managed by the Archives, falling to the sphere of State secrets and service secrets. (6) The rules applicable to the public administrative under-secretaries shall be applied to the Director General of the Archives with the divergences stipulated by this Act and the rules applicable to the deputy under-secretaries shall apply to the Deputy Director General mutatis mutandis. With the exception of the appointment and the dismissal, the other employer's rights in respect of the Director General shall be exercised by the Secretary General of the Parliament. (7) The staff members of the Archives shall be governed in other matters by the provisions of the Act XXIII of 1992 on the Legal Relationship of Civil Servants governing the public service relationship of the civil servants of the central administrative authorities. Article 10: (1) The operation of the Archives - unless otherwise provided for by this Act - shall be governed by the provisions of the Secrecy Act. Article 28 of the Secrecy Act shall not be applicable to the procedure of the Archives. (2) The Archives makes the data recognizable in an anonymized form under this Act accessible to the applicant so that it hands over the duplicate copy of the document containing the data and renders the data unrecognizable to the applicant illegible on it. Every duplicate copy made of the documents shall be provided to the person under observation with special promptness and free of charge. (3) The Archives shall provide for the compliance with the secrecy rules in respect of data classified under the Secrecy Act. (4) The Archives shall provide for the registration and management under unified aspects of the documents received and produced. (5) The effect of the data protection contract concluded under paragraph (3) 24/A of the Archival Act shall cover the documents managed in the Archives if this is explicitly provided for by the contract - with the exact enumeration of the documents. Article 11: (1) The Act shall enter into force - with the exception contained in paragraph (2) - on the eighth day after its promulgation. (2) Paragraphs (1)-(4) and (6)-(8) of Article 8, Article 9, as well as paragraph (3)-(4) of Article 13 of the Act shall enter into force on the 1st April 2003. (3) In thirty days after the entry into force of the Act the Chairman of the Parliament shall announce a competition for performing the post of the Director General of the Archives and shall also provide for the evaluation of the tender within ninety days after the entry into force of the Act. (4) In fifteen days after the appointment of the Director General of the Archives the Chairman of the Parliament shall announce a competition for performing the post of the Deputy Director General of the Archives and shall also provide for the evaluation of the tender within ninety days after the announcement. (5) Any natural person and legal person, as well as any organization not having the status of a corporate body shall hand over the documents unlawfully found in his possession, falling within the competence of the Archives – including both their duplicates and copies – to the Historical Office within thirty days after the entry into force of the Act. (6) He who possesses unlawfully any document falling within the competence of the Archives and hands it over or forwards it incognito to the Historical Office within thirty days after the entry into force of the Act shall be released from the legal consequences of the unauthorized data management and the abuse of special personal data, as well as of the State secret violation. The documents unlawfully possessed, falling within the competence of this Act may not be used as evidences before any authority or court. (7) The Archives shall hand over any document, for the custody of which it is not authorized by this Act, to its original owner or its legal successor, and to the competent archival office in case of official documents, within six months after the entry into force of the Act. (8) The familiarization with a document managed by the Archives, classified under the Secrecy Act shall require the permit specified in item 7 of paragraph (1) of Article 2 of the Secrecy Act. (9) The documents falling under the effect of the Act may be selected for destruction as from the date of the entry into force of the Act exclusively in compliance with the rules of the Archival Act, in the Archives. Article 12: (1) Within ninety days after the entry into force of the Act a Committee shall be established, a member of which shall be appointed each by the Government, President of the Hungarian Academy of Sciences and the President of the Hungarian Historical Association. The members of the committee shall be appointed by the Chairman of the Parliament – after their "C" type national security control. The committee shall supervise the handover to the Archives of the documents falling under the effect of this Act. The rules of procedure of the committee shall be approved by the Minister of the National Cultural Heritage in agreement with the Minister controlling the civil national security services. The members of the committee may inspect without restriction into the documents falling under the effect of this Act at the document management organizations – with the exception of the documents included in a separate list specified in paragraph (5). The committee shall establish a report of the handover of the documents, which shall be forwarded to the Chairman of the Parliament within three months after the expiration of the deadline stated in paragraph (8). The assignment of the members of the committee shall be terminated within 30 days after the establishment of the report. (2) The revisional procedure regulated in Article 10 of the Secrecy Act shall be conducted after the entry into force of the Act in respect of the documents set forth in items a)-b) of paragraph (1) of Article 1 – in consideration of the provisions of this Act, as well as of the Secrecy Act. (3) The sets of documents which contain data the security status of which was terminated or maintained by the data classifying authority shall remain further on, too in the management of the organization managing the set of documents. As regards the part of the document set which contains data, the security status of which was terminated by the data classifying authority, the document set managing organization shall make a copy thereof shall hand it over to the Archives. (4) The list of documents the security status of which was maintained by the data classifying authority shall be handed over to the Archives. The list may not contain any State secrets. If the Archives does not find it justified to maintain the security status of any document included in the list, it may apply to the Municipal Court of Budapest in order to enforce the termination of the security status. The lawfulness of the maintenance of the security status shall be proved by the data classifying authority. The Court shall decide on the case in a civil, amicable proceeding within thirty days. The judge of the Municipal Court of Budapest designated for this task in the matter shall proceed – after the "C" type national security control. The parties and their representatives may not be present at the hearing of each other. The observation of the regulations concerning the protection of State secrets shall be ensured at every phase of the procedure. No appeal shall be resorted to against the decision of the Municipal Court of Budapest. The Court decision may not contain any State secret. (5) The Director General of the National Security Service shall draw up a separate list of the documents of outstanding importance from the viewpoint of the protection of the national security interest from among the documents containing data specified in paragraphs (2)-(3) of Article 2 during the revisional procedure, which shall be approved by the judge of the Supreme Court designated for this task – after the "C" type national security control. The documents included in the separate list established under this paragraph shall not be indicated in the list of documents set forth in paragraph (4). (6) If the data classifying authority does not confirm the security status, maintained under paragraph (2) of Article 28 of the Secrecy Act, of the document emerged before 1970 within one hundred and eighty days after the entry into force of the Act, the security status of the document shall be terminated and the document shall be handed over to the Archives within thirty days. (7) If the data classifying authority does not confirm the security status, maintained under paragraph (2) of Article 28 of the Secrecy Act, of the document emerged between 1970 and 1979 within one year after the entry into force of the Act, the security status of the document shall be terminated and it shall be handed over to the Archives within thirty days. (8) If the data classifying authority does not confirm the security status of the document emerged in 1980 or after 1980 within two years after the entry into force of the Act, the security status of the document shall be terminated and it shall be handed over to the Archives within thirty days. (9) The data classifying authority shall review under paragraph (1) of Article 10 of the Secrecy Act the documents containing the data specified in paragraphs (2)-(3) of Article 2, the security status of which he maintained during the revision determined in paragraph (2). If as a result of the revision, the data classifying authority terminates the security status, the document shall be handed over to the Archives within thirty days. (10) The documents set forth in item c) of paragraph (1) of Article 1 shall be handed over to the Archives within thirty days after the appointment of the Director General of the Archives. Article 13: (1) The Articles 1/A, 25/A-25/I of the Act XXIII of 1994 on the control of certain persons performing important, as well as public confidence and public opinion forming positions and on the Historical Office, Articles 3 and 14 of the Act LXVII of 1996 on the amendment to the Act XXIII of 1994 on the control of certain persons performing important positions, as well as the Act XLVII of 2001 on the amendment to the Act XXIII of 1994 on the control of certain persons performing important, as well as public confidence and public opinion forming positions and on the Historical Office and on the law amendments related thereto shall cease to have effect on 31 March 2003. (2) The Government shall receive an authorization to take the measures required for the implementation of the Act and to provide in this framework for the creation of the regulatory, organizational, budgetary and other conditions necessary for the disclosure of the antecedents of the document control and document protection, as well as for the unification of the documents in respect of those falling under the effect of the Act. "(1) Specialized State archives are the Military History Archives, the Archives of the Central Statistical Office and the Water Conservancy Archives, the Historical Archives of the Hungarian State Security, as well as the archives of institutions performing higher educational, scientific, cultural or health services sustained by the State. d) in case of the archives of higher educational, scientific, cultural or health services providing institutions the maintaining organization. (3) The competence of the Historical Archives of the Hungarian State Security shall cover the documents specified in paragraph (1) of Article 1 of the Act on the Disclosure of the Secret Service Activities of the Communist Regime and on the Establishment of the Historical Archives of the Hungarian State Security. (4) The special rules for the operation of the Historical Archives of the Hungarian State Security, as well as its tasks beyond those stipulated in this Act are laid down by the Act referred to in paragraph (3)." "The advisory board authorizes the scientific research in the Historical Archives of the Hungarian State Security." 151. data of the systems and measures serving for the protection of data falling into the scope of State secrets and service secrets managed by the Historical Archives of the Hungarian State Security. The longest validity time for the security status of a State secret: 90 years." protection of state secrets, official secrets or business confidential data be affected. records of permanent value, owned by agencies and natural persons, which/who do not come under the effect of paragraphs a) to d). archival collection interest: that part of the non-public records with permanent value which is not obliged by law to be transferred to public archives, or there is no such obligation ordained by the maintainer, furthermore the records of natural persons with permanent value which is collected (accepted as gift or purchased) by the given archives service in order to enrich the archival sources in its custody. Public and private records with permanent value constitute the parts of cultural goods, while archives represent those of protected cultural goods. Public and private records with permanent value, as well as archives shall be protected and preserved in intact and usable condition in accordance with the provisions of this Act and of the Act on the Protection of Cultural Heritage. The agencies having current records, and natural persons keeping documents of permanent value shall provide for retaining the integrity and the original order of organically related records as well as for preserving records with permanent value owned or possessed by them. (1) No public records as well as archives considered public records but kept in any archives repository, shall be alienated, damaged, or made unusable in any other way, or destroyed other than authorized disposal procedure. (2) Prohibition of damaging or making unusable in any other way as well as that of destruction shall also cover open private archives, and private records with permanent value under protection as well. (3) Prohibition on alienation as defined in subsection (1) shall not preclude the alienation of records kept in public archives but not considered public records, to another archives, a museum, or a library through an exchange contract. To conclude an exchange contract or to alienate a private record kept in an open private archives shall need the permission issued by the Minister of Cultural Heritage. Alienation of a private record under protection shall be proceeded as provided by the Act on the Protection of Cultural Heritage. (1) Archives or private records defined in Section 33, subsection (1), may only be exported from the territory of the country in accordance with the provisions of the Act on Protection of Cultural Heritage. (2) Before any archival record is taken out of the country, a security copy of it has to be made by the National Archives of Hungary, or the archival repository keeping it. Deposition of records in a public archives shall not affect their ownership, except for the case when they represent a gift, are purchased or exchanged by contract. shall make decisions in specific cases falling within his competence. transfer the records classified as undestroyable to the competent public archives at its own cost, together with the related registers and finding aids as specified in Section 12. (2) The detailed rules of complying with the requirements defined in subsection (1) shall be contained in a single (prepared individually by an agency performing public duties), or in a standard (prescribed as compulsory for a public agency) regulation on records management and records schedule. (3) The head of the agency, which performs public duties, shall be responsible for complying with the requirements defined in subsection (1), as well as for the establishment and operation of a registry, suitable for the proper and safe custody of records and for guaranteeing other material, technical and personal conditions required for records management. (1) In case of dissolution of an agency performing public duties or of a change in the range of its duties, the disposing agency shall provide for the further placement, safe custody, maintenance and usability of current records of the agency concerned. (2) If the agency being dissolved merges with another one, its records shall be placed in the registry of the agency taking over its duties. (3) If the duties of the agency being dissolved are divided between more than one agencies, or the duties of an agency are taken over by another one, current records shall only be separated by the records schedule items. A claim for a single file shall be met by making a copy or lending. Separation of current records by the records schedule items shall be carried out with the consent of the competent public archives. (4) If an agency performing public duties dissolves without a legal successor, the part of its records with permanent value shall be transferred to the competent public archives. Concerning the rest, the agency arranging for dissolution shall ensure the costs required to keep and manage as well as dispose them for a definite period of time. (1) The Government shall issue - in compliance with the opinion of the National Archives of Hungary - a model regulation on records management for the ministries and the agencies with nation-wide competence. The Minister of the Interior shall issue for the local authorities, while the ministers providing for departmental control issue for the institutions of the state and local authorities - in compliance with the opinion of the professional body commissioned by the Minister of Cultural Heritage - a model regulation on records management. (2) The minister providing for departmental control, or the head of an agency with nation-wide competence shall issue a single regulation on records management for the state administration agencies, the armed forces, the organizations for the protection of law and order, and the civil national security services. The single regulation on records management for the courts shall be issued by the National Council of Jurisdiction, and by the Attorney General for the prosecutors' offices. (3) On the issue of the single regulations on records management for the agencies mentioned in subsection (2), the National Archives of Hungary shall exercise the right of consent. (4) The agencies performing public duties, not mentioned in subsection (2), shall prepare individual regulations on records management, and issue them with the consent of the competent public archives. (5) The right of consent of the National Archives of Hungary or of the competent public archives shall extend to issues in connection with development of records schedule items, designation of those items that must not be destroyed, as well as to matters connected with the rules affecting the archival use of undestroyable records. In any dispute arising in connection with exercising of the right of consent by public archives, decision shall be made by the Ministry of Cultural Heritage. if an agency fails to take steps by the time limit defined in the minutes, then the archives shall notify the supervisory authority with the aim of the latter instituting contravention proceedings; failing any supervisory authority it shall institute the contravention proceedings itself. (1) The complete and concluded annual volumes of undestroyable public records - with the exception specified in subsection (5) shall be transferred to the competent public archives by the end of the fifteenth year from the calendar year of their creation. (2) The agency and the competent public archives shall jointly agree on the date of transfer of undestroyable public records. (3) The deadline for transfer defined in subsection (1) may be extended for a further five years without any special permission if the agency is still regularly in need - from an administrative aspect - of the undestroyable records, or where the competent public archives does not have the space required for the storage of records. The extension of time limit for transfer beyond five years may be authorized on one occasion only, for a period of not more than ten years by the Minister of Cultural Heritage. A retention period in the registry which exceeds this, can only be set by a legal rule. (4) A public archives can only be compelled to accept public records that were created within fifteen years by virtue of a legal rule. (5) Undestroyable records created more than fifteen years before, containing state secrets, official secrets or business confidential data, shall be transferred to the competent public archives by the end of the calendar year following the expiry of the closure period specified by the classifying authority. (6) Upon the initiative of the agency preserving the records, the competent public archives may transfer records containing state secrets, official secrets or business confidential data even before the expiry of the closure period, if conditions of their proper custody and management are guaranteed. (7) An agency performing public duties shall guarantee the use of those undestroyable records, which are in its custody even after the elapse of the closure period defined in Section 22, subsection (1), in accordance with the rules applied to records kept in public archives. provide consultation related to the selection and proper maintenance of private records with permanent value, and contribute to the declaring of private records with permanent value as protected. (1) Public archives shall be divided into general archives, specialized state archives, archives of local authorities by settlements, of public bodies, of public foundations, or of any other public agencies, as defined in a legal rule. (2) The competence of public archives shall be defined in respect of public records by this Act, in respect of documents not considered public records as to the county (Budapest City) archives by Section 18 of this Act, as to the National Archives of Hungary by the Minister of Cultural Heritage, in respect of other public archives by the maintaining entity, with the consent of the Minister of Cultural Heritage. (3) Collection interests of a public archives shall cover all private records of permanent value, defined in Section 3, paragraph s), which fit into the archival holdings and enrich the archival sources kept by the public archives. have a repository (repositories), that may be made inaccessible, is (are) fireproof, dry, contain the appropriate degree of humidity, that cannot be used simultaneously for any other purpose beside the custody of archives, outfitted with the storage means required for proper custody, and guarantee(s) the regular capture of records, furthermore a reading room and other conditions necessary for its function. (2) A public archives may only be established subject to the combined securing of the conditions specified in subsection (1), paragraphs a) and b). (3) The head of a public archives shall be appointed through competition, or relieved, in the case of the National Archives of Hungary by the Minister of Cultural Heritage, while in the cases of specialized state archives as well as the archives of the county authorities, local authorities of settlements, public bodies, public foundations and other public agencies - having requested the opinion of the Minister of Cultural Heritage - by the maintaining entity. (1) The records of public agencies having no archives of their own, shall belong to the competence of general archives. General archives may be established or dissolved by an Act, with the designation of the public archives competent to take over the holdings of the archives being dissolved. (2) General archives are the National Archives of Hungary as well as the public archives maintained by the local authorities of the counties and the Municipality of Budapest, respectively. (1) The National Archives of Hungary shall act as central general archives. The following shall fall within its competence: the records of the President of the Republic and his Office, that of Parliament and its Office, as well as the offices of Parliamentary Ombudsmen, of the Constitutional Court, the Prime Minister and his Office, - with the exception defined in Section 19, subsection (2) - of the Ministries and other agencies with nation-wide competence, as well as of the institutions and the bodies of foreign representation falling under the direct supervision and direction of the above, of the Supreme Court, of the Attorney General's Office, of the State Audit Office and of the National Bank of Hungary, as well as of the predecessors of all these agencies, and of all national public bodies and public foundations having no archives of their own. collect and process the data of service provided by public archives and open private archives, according to the considerations stated by the Ministry of Cultural Heritage. The county public archives and Budapest City Archives shall act as territorial general archives, under the direct supervision and direction of the county authorities and the Municipality of Budapest, respectively. Their competence shall extend to the records of the body, offices and institutions of the maintaining local authority, as well as to that of their legal predecessors, and to any archival record that were created on the territory of the county (Budapest City), and does not fall within the competence of another archives. (1) Specialized state archives include the Archives of War History, the Archives of the Central Statistical Office, and the Water Management Archives, the Historic Archives of State Security Services as well as archives of institutions of higher education, institutions performing scientific, cultural or public health services, which are maintained by the state. as well as to all archival records which were created in the course of the activities of the legal predecessors of the above. (3) The competence of the Historic Archives of State Security Services shall extend to the records specified in Section 1, subsection (1) of the Act on the disclosure of the activity of secret services in the past regime, and on the establishment of the Historic Archives of State Security Services. (4) The special functional rules for the Historic Archives of State Security Services as well as the duties in addition to those specified in this Act shall be stipulated by the Act mentioned in the above subsection (3). (5) The establishment and dissolution of a specialized archives specified in subsection (2), paragraph d) shall be authorized by the Minister of Cultural Heritage, subject to a prior request of the opinion of the Minister (Head of the agency with nation-wide competence) performing the supervision or direction of the agency concerned. (6) The Minister of Cultural Heritage shall provide for the deposition of the holdings of a specialized archives being dissolved. (1) The local authority of a settlement may establish a public archives with competence over the records of its body, offices and institutions, as well as over that of the legal predecessors of the above. This archives shall function under the direct supervision and direction of the maintaining local authority. (2) The establishment of an archives by the local authority of a settlement shall require the prior consent of the Minister of Cultural Heritage. The Minister may refuse the consent, if he feels the personal and material conditions of continuous functioning of the archives to be established [Section 15, subsection (1)] are not guaranteed on a long term. If the conditions determining the function of the archives cease to exist, the Minister may withdraw his consent. In this case the maintaining local authority must dissolve its archives. (3) If the local authority of a settlement dissolves its archives, the holdings thereof shall be placed in the county (Budapest City) archives competent for the relevant territory. In such a case the local authority of the settlement shall also give over to the county local authority (Municipality of Budapest) its assets that have served the purposes of the archives, for their use. Public bodies, public foundations or other public agencies as defined in a legal rule may establish public archives for the custody of their own records. The establishment or dissolution shall be entered in the central register of public archives. In case of dissolution, the Minister of Cultural Heritage shall provide for the placement of the archives of the public body, public foundation and other public agencies. (1) Upon request, containing the subject to be researched, any natural person may have free of charge access to archives, or may obtain at his own cost copies of records released for inspection, and kept in public archives, created after 1 May 1990, or archives older than thirty years from the calendar year of their creation, archives that were created before 2 May 1990, if older than fifteen years from the calendar year of their creation - with the exceptions in Sections 24 and 25 - as well as without any time limitation to archives, which have already been made public, and/or the content of which anyone may become familiar with, in accordance with DPA. (2) Before the beginning of research, the public archives shall issue a visiting card to the person wishing to perform research in the holdings of the public archives. The visiting card - on annual prolongation - may be continuously used in the given public archives. (3) On the issue of the visiting card the public archives shall keep a record of the researcher’s: name, mother’s name, the place and date of birth, address, and the number of the document proving his/her identity. (4) The public archives shall register the archival records being delivered for research, and ensure the protection of researcher’s personal data according to the provisions of DPA. (1) Access to archives originally prepared for internal use as well as containing preliminaries to decisions, that were created after 1 May 1990 but before the expiry of thirty years from the calendar year of their creation, shall be authorized by the public archives keeping the records concerned, with the consent of the agency, which handed them over. Access to archives of an agency dissolved without any legal successor, shall be authorized by the public archives keeping the records concerned. (2) The Advisory Board specified in subsection (3) shall authorize access to archives that were created before 2 May 1990 and within fifteen years from the calendar year of their creation - including those originally prepared for internal use as well as containing preliminaries to decisions - with the consent of the agency which handed them over. Access to archives of an agency dissolved without any legal successor, as well as of the records defined in Section 2 of the Act LXXXIII of 1991 shall be authorized by the Advisory Board. The Advisory Board shall also authorize scientific research to be performed in the Historic Archives of State Security Services. (3) The Advisory Board is composed of five members, three of them appointed by one from each of the National Archives of Hungary, the Institute for the History of Politics, and the Documentation and Research Institute for the 1956 Hungarian Revolution (Public Foundation), as well as two members appointed by the Hungarian Academy of Sciences. (1) Unless an Act otherwise provides, archives containing personal data shall be disclosed for access by anyone thirty years after the year of the data subject’s decease. If the year of death is unknown, protection period shall be ninety years from the birth of the subject, and when neither the date of birth nor of death is known, it shall be sixty years from the creation of the record held by the archives. c)research is required for scientific purposes - provided that the thirty or fifteen years defined in Section 22, subsection (1) have already expired - and the researcher complies with the requirements specified in subsections (3) and (4). (3) Research for scientific purposes in accordance with subsection (2) paragraph c) shall be authorized by public archives, if the researcher attaches a statement of support issued by an institute or body performing public duties and scientific research in accordance with its designated purpose, granted on the basis of the detailed research plan of the researcher. (4) The researcher shall sign a written declaration accepting the limitations on handling and usage of the acquired or collected personal data in compliance with Section 32 of DPA, moreover in the declaration shall indicate the place of data handling. (5) On granting consent specified in subsection (2), paragraph b), the subject, or after his/her death any heir or relative of his/hers, shall sign a written declaration accepting the use of his/her personal data learnt by the researcher, in conformity with the purpose of research, as well as on making copies of records containing his/her personal data. (6) If research is conducted for scientific purposes in accordance with subsection (2) paragraph c), a non-anonymized copy of the record containing personal data may be obtained even before the expiry of protection period specified in subsection (1). the researcher presents a supporting statement - granted on the basis of the detailed research plan - of the committee or institute of the Hungarian Academy of Sciences, that is competent in the subject of research, and accepts in a written declaration that acquired and collected personal data will be handled and used in accordance with data protection rules of his/her country. (2) Concerning making copies of records explored by research permitted in accordance with the subsection (1), rules involved in Section 24, subsection (6) shall be applied. (3) The Government shall be empowered to conclude a Data Protection Contract with regard to handing over a copy of records containing personal data – including sensitive data - to a foreign scientific institute in order to display the results of researches conducted on historical events, before the expiry of protection period specified in Section 24, subsection (1). (4) Transferring of data abroad based on a Data Protection Contract specified in subsection (3), may be forbidden by the subject, or after his/her death any heir or relative of his/hers, untill the expiry of protection period specified in Section 24, subsection (1). Rules of procedure related to the enforcement of right to protest shall be laid down by the Minister of Cultural Heritage. (1) Until the expiry of closure period specified by the classifying authority, researchers can only have access to archives containing state secrets, official secrets or business confidential data or any other secrets defined in an Act, with a permission issued by the classifier. to archives not considered public records, which cannot as yet be researched on the basis of conditions specified by the agency or natural person handing them over. (3) If the records cannot be made available to the researcher due to their physical condition, the public archives may comply with the application by preparing a copy at its own expense, if this process does not involve the danger of further deterioration or destruction of the original, and does not entail an expense exceeding five times the fee for usual copying. However, in the latter case, if the researcher pays the excess cost, the public archives shall be obliged to make a copy. The public archives or the Advisory Board specified in Section 23, subsection (3) shall give written reasons for the partial or total denial of the application for access. (1) Public archives shall give information about individual data on the basis of the information supplied by the applicant and required for identification. (2) The partial or full denial of application for information shall be communicated by public archives in writing. (3) Public archives shall carry out research for the purpose of information as a free of charge service only on the basis of a legal rule or upon the instruction of the maintaining entity. Public archives may lend its holding to other archives for research purposes, or to a body for the purpose of exhibition, on the basis of a separate legal rule, for a definite period of time. The archives shall be obliged to authorize the lending for administrative purposes to the agency which handed over the records, or to its legal successor. The application for borrowing may also be presented in the form of a copy. (1) In case of a partial or full denial of the application for access or information, the applicant may go to law. (2) With the exception specified in subsection (3), the rules included in Section 21, subsections (2) to (7) of DPA shall govern the institution of the lawsuit and the course of the proceedings. (3) In case of denial of an application for information relating to the applicant's own data the rules of Section 17 of DPA shall apply to the court proceedings. (1) A natural person as well as a non-public agency who/which establishes or maintains an archives for the long term custody of his/its records with permanent value being in his/its ownership or possession, and accepts to comply with the requirements defined in subsection (2), may initiate with the Ministry of Cultural Heritage that his/its archives be registered as an open private archives. Upon the recommendation of the Archival Inspectorate, the registration as open private archives shall be authorized by the Minister of Cultural Heritage. give information, supply data, lend records and make possible free of charge access to its holding in accordance with its own regulations, according to the provisions applicable to public archives. (3) If open private archives fails to comply with the requirements specified in subsection (2), the Minister is entitled to have the archives deleted from the register. The Minister shall simultaneously take the initiative to declare the archives as protected. (4) Open private archives shall be granted a budgetary support as specified in Section 34/C. Open private archives, maintained by political parties are also entitled to a budgetary support. (1) With the exception of public records, an open private archives may collect any records, however, competent ecclesiastical archives may also collect records of the educational institutions maintained by the church which are considered as public records. (2) The Minister of Cultural Heritage is entitled to permit the placement of holdings of the loci authentici of the capitular or convent bodies (ecclesiastical bodies entrusted with notarial functions) in the competent domestic ecclesiastical archives, and of other public records in open private archives, if the maintaining entity of the archives guarantees compliance with - as to the keeping, handling and use of the records - the conditions specified in Section 15, subsection (1), and makes possible access to the records in accordance with the rules applicable to those kept in public archives. (1) Non-public agencies - with the exception under subsection (3) - may develop the ways of managing their current records themselves, but they may request professional advice of the competent public archives, and they may conclude an agreement therewith concerning the regular manner of assistance, as well as relative to the keeping of records as a gift or no charge deposit. (2) The donor or depositor may restrict the access to the records transferred to a public archives under an agreement as specified in subsection (1) to a definite period of time. (3) Business companies operating with a permanently state owned property share are obliged to regulate their records management in agreement with the competent public archives, to manage their records in accordance with the regulations, to facilitate on the spot information for the public archives while guaranteeing the protection of trade secrets and business confidential data, to transfer to the public archives their undestroyable records, if they are no longer required for carrying out their tasks. These companies may dispose of the accessibility to records transferred to public archives in accordance with the contents of subsection (2). the records kept in a private archives being cancelled from the registration of open private archives. b)the current records of an agency in operation, except records specified in subsection (1), paragraph c) and d). (3) The Office may obligate the owner by decision to hand over his/her archives declared as protected to the National Archives of Hungary – for a definite period - for the purpose of making security copies thereof. Transportation of archives back and forth shall be ensured by the National Archives of Hungary, under agreement with the owner. (4) The National Archives of Hungary shall preserve the security copies specified in subsection (3). The owner has the right to prohibit making further copies from the security copy, and having access to it for a definite period of time, if the research would violate his personal rights or would interfere with his lawful interests. (5) Otherwise the provisions of the Act on the Protection of Cultural Heritage shall be applied in the process of declaration private records as protected and the archives declared as protected. (1) An owner who wishes to market his/her record(s) created further than 50 years, or, records specified in Section 33, subsection (1), paragraphs a), b) and d)– with the exception of public auction - shall be obliged to offer it for purchase first to the National Archives of Hungary, or to present it with the aim of having it declared protected. If the National Archives of Hungary verifies that the presented record(s) - as regards contents or other features – suit(s) criteria specified in Section 3, paragraph j), but cannot pay the purchase price set by the owner, it shall suggest to the Office to declare the record(s) as protected. (2) Prior to exporting any of the records specified in subsection (1), or archives declared as protected, the owner or rightful possessor – with the consent of the owner - shall put in an application for the export permit to the National Archives of Hungary or to any county archives having residence outside the area of the Capital. The archives, to whom the request was submitted, shall forward the application - along with its expert opinion - to the Office. (3) Current records, that were created during the operation of a state owned business company, may only be destroyed in accordance with the guidelines stipulated by the competent public archives, even following privatization of the company. If the new owner does not wish to keep the undestroyable records any longer, he/she must deliver them to the competent public archives. If the new owner claims the undestroyable records, the competent public archives may initiate the declaration on protection of these records. (1) Financial conditions, required in order to examine an annual 2 per cent of records kept in public archives and open private archives, to perform necessary disposals, and to make security copies specified in Section 13 paragraph f) as well as to carry out other issues serving permanent retention of endangered records or information contained by them, as the case may be, shall be allocated from the Budget of the Ministry of Cultural Heritage. (2) The Ministry of Cultural Heritage shall provide for the distribution of the budget specified in subsection (1) among public and open private archives, by competitions. Rules on competition, judgement and spending of budget shall be settled by the Minister of Cultural Heritage. (3) The personal, material and technical conditions required to perform tasks specified in subsection (1) must be created not later than 31 December 2000. The budget required to perform the tasks listed in Section 17, subsection (2) shall be determined as a separate heading within the Annual Budget of the National Archives of Hungary. (1) The budgetary support of open private archives shall be determined within the Annual Budget of the Ministry of Cultural Heritage. 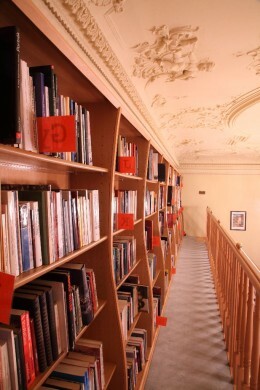 (2) The amount of the budgetary support projected onto 1 running metre of the holdings preserved in an open private archives cannot be less than 25 per cent of the overhead costs - reduced by running receipts - allotted to 1 running metre of the holdings preserved in general archives during the two years earlier fiscal year. (3) The rules for distribution of the budget specified in subsection (1) among open private archives shall be determined by the Minister of Cultural Heritage. (1) This Act shall come into force on 1 January 1996 with the exception specified in subsection (2). (2) Section 3, Section 12, Sections 22 to 29 and Section 36 of this Act shall come into force on 1 July 1995. (3) Simultaneously with the coming into force of the Act the following legal rules shall cease to be in force: Law-Decree 27 of 1969 on Protection of Archival Holdings and on Archives - with the exception of the first sentence of Section 10/A, Law-Decree 19 of 1972 amending this, and Section 1 of Act LXXXIII of 1991, as well as Government Decree No. 30/1969. (IX.2.) issued concerning the execution of Law-Decree 27 of 1969 on Protection of Archival Holdings and on Archives, Section 1 of Government Decree No. 34/1970. (IX.13.) amending it, Government Decree No. 37/1971. (XI.3. ), Section 1 of Decree No. 29/1973. (XI.21. ), Section 3, subsection (1), paragraph a), Section 3, subsection (2) paragraphs a), b) and e) of Government Decree No. 20/1992. (I.28. ), as well as Government Decree No. 177/1991. (XII.28.) issued to amend the Legal Rules on Protection of Archival Holdings and on Archives, as well as on Certain Issues of Access to Public Collections, as well as Sections 1 to 2 and Section 4 of Government Decree No. 121/1992. (VII.l.) Section 3 of Government Decree No. 121/1992. (VII.1.) as well as Government Decree No. 102/1993. (VII.12.) issued to amend Decree No. 118/1989. (XI.22.) on Certain Issues of Access to Public Collections, shall cease to be in force on 1 July 1995. (4) The Minister of Cultural Heritage shall be empowered hereby to regulate in a decree the functioning of the Advisory Board specified in Section 23, subsection (3), and the functioning of Archival Inspectorate and other professional bodies. (5) Where a "record of historical value" is mentioned in a legal rule, a "record of permanent value" shall be understood thereby. (6) Archives functioning at present and maintained by non-public agencies shall continue their activity as open private archives. (7) The regulations on records management specified by Section 10 of this Act shall be prepared by 31 December 1998. 1. the second phrase of Section 30, paragraph i)of DPA shall cease to be in force, and the text part "agency or person performing state or local authority duty" in Section 19, subsection (1) of DPA shall be replaced by the text part "agency or person performing state or local authority or other public duties defined in a legal rule". *The Act was passed by Parliament on 27 June 1995. Amended by the Act CXL of 1997 on the Protection of Cultural Goods, on Museums, Public Library Provision and General Education. The main aim of co-operation with Hungarian archives is to search for documents concerning State Defence and State Security that are kept in other institutions in order to record them on a modern data carrier and to make them easily accessible for scientific researchers. An outstanding step in this endeavour was the digitalization of the documentation of the trial of Imre Nagy, Prime Minister of the 1956 Hungarian Revolution and War of Independence, and his companions. We carried out this task together with the National Archives of Hungary and the Interview Collection of the National Széchényi Library. The material was introduced in June, 2008. To preserve valuable documents that are still classified secret and kept by the National Security Services although they are within the jurisdiction of the Historical Archives we have signed Agreements of Cooperation with the National Security Services. To make data supply from documents that refer to former employees of the Ministry of Home Affairs easier, we signed an agreement with the Ministry of Home Affairs in 2005 (and another one in 2007, with its legal successor, the Ministry of Justice and Security). The agreement was sanctioned by the National Security Committee of Parliament. In July, 2004, the leaders of the institutes with similar mission in Germany, Poland, the Czech Republic, Slovakia and Hungary wrote a letter to Romano Prodi, then President of the European Council. In this letter they called his attention to the problems of handling and processing former State Security documents. On April 11, 2005, based on the international contract between the Government of the Hungarian Republic and the Government of the United States of America, an agreement was signed between the United States Holocaust Memorial Museum and the Historical Archives of the Hungarian State Security. In this program the American party could get digital copies of the documents which are about the 1938-45 persecutions and the limitation of rights concerning Hungarian Jews, or others because of belonging to an ethnical or religious minority or certain political groups. In November, 2005, we signed an Agreement of Cooperation with the Nation’ Memory Institute in Bratislava. The aim of this agreement was to co-ordinate research in both countries and to uncover documents about our countries in both institutes. In November, 2008, an Agreement of Co-operation was signed in Budapest between The Institute for the Study of Totalitarian Regimes which is based in Prague and the Historical Archives. The agreement comprises common scientific programmes, organising scientific conferences and meetings, editing common publications and sharing experience gained while processing archives material. On December 16, 2008, the representatives of the archives in Germany, Bulgaria, Poland, Romania, Slovakia, the Czech Republic and Hungary that keep documents concerning secret police signed an agreement in Berlin. According to the declaration of intent the European Network of Official Authorities in Charge of the Secret Police Files will mean tight co-operation among the states that signed this agreement. Thus they can present a united front in questions concerning the publicity of documents, the freedom of research and while disclosing the sins of the previous regime and the activity of secret services. According to the agreement the seven institutes are in regular touch through a co-ordination group and the presidium, which is changed every year, organizes conferences at regular intervals. We arranged an international conference entitled: “Reaction to the 1956 Revolution in the Countries of the Soviet Bloc”. Our partner in organising the conference was the Documentation and Research Institute of the1956 Hungarian Revolution – this event was part of our co-operation. The conference was opened on September 22, 2006, by Dr. Katalin Szili, President of Parliament. On October 3 and 4, 2007, we celebrated the tenth anniversary of the foundation of the Historical Archives. To commemorate the event we organised an international workshop under the title “Recent Past Dragged along – Experience while Exploring Secret Service Documents”. The conference was opened by Dr. Katalin Szili, President of Parliament. Representatives of similar institutes in Germany, the Czech Republic, Poland, Romania and Slovakia also took part in the workshop and they gave presentations about their own experiences. In October, 2008, we organised an international conference in Pécs with lecturers representing our fellow institutes abroad. The topic of the conference was: “Those Who Watch and Those Who Are Being Watched – How useful secret agents documents are from the point of view of social history”, and the co-organising institutes were The Pécs Committee of the Hungarian Academy of Sciences and The Historical Institute of the Faculty of Arts of the University of Pécs. The Historical Archives organized an international conference about mass deacidification of archival records at 23rd September 2010 with participation of German, Polish, Slovak, Czech, Roman and Hungarian experts and the representative of the Norwegian Embassy. A detailed report and the presentations have been also published at the website of the Historical Archives. To sum up, we can state that during the fifteen years of its existence, the Historical Archives has formed a wide range of relationships with institutes and researchers that deal with keeping and handling former State Security documents both in Hungary and abroad. The above mentioned facts, which are far from being complete, show that our institute plays an important role in Hungarian scientific public life and we have regular business contacts with similar institutes in neighbouring countries. Address: Eötvös u. 7., Budapest, 1067 Hungary. Researchers can have access to the widest range of documents. They can see any documents, with the exception of some special data, even within the time of protection. A scientific researcher is a person with a research permission from an advisory board (with members delegated by scientific institutions). Conditions under which such a permission can be obtained and the frames of the permit are defined in the Act of Archives and the Act that founded the Historical Archives. In this respect, the citizens of the European Union and the states involved in the European Economic Agreement have the same rights as those of the Hungarian citizens. A detailed research plan, a list of publications and a so-called Statement of Support must be attached to the request for a Research Permission. A Statement of Support is issued by a research institute on the basis of the detailed research plan. If the Permission of Research is denied the researcher may go to court. Citizens of other States can get a Permission of Research if the Commission of European Union has stated that the given State will secure the proper protection of personal data. In such a case, a Statement of Support can only be issued by the respective institute of the Hungarian Academy of Sciences. The scientific researcher must give a statement that they will keep the rules of data protection while handling or publishing the data. This is necessary because, in order to understand and learn the past, a scientific researcher can have access to a lot more data than can be made public. The Law of Data Protection contains the rules of making data public. According to this law, the institute or the person who carries out scientific research can only make personal data public if the person affected has given their consent or it is crucial from the point of view of showing the results of researching historical events. The restrictions are as follows: before the time of protection expires (which is 30-90-60 years for researchers), researchers can have access to data concerning race, nationality, minority, or ethnic status, religion or other ideology only with permission from the Board of Trustees. Data concerning state of health, obsessions and sexual life can be subject to research only after the time of protection expires. The person observed or a third person may forbid the research of their personal data for no longer than 90 years after the date of the documents. Employees, network people and operative contact persons have no such rights. All the other data is a free subject of research. Courts may indirectly ask the Archives for data if it is needed for their tasks. Other State Institutes can only have access to the documents kept in the Historical Archives if they have the approval of the National Security Committee of Hungarian Parliament in advance, or in urgent cases they must inform the Committee after the event. Access to the documents is free for everybody, but copies of the documents must be paid for by researchers, scientific researchers included. The person observed is a person who was the target of State Security activity, i.e. the victim. A professional employee is somebody who was employed by State Security Organizations as a member of either the secret or the public staff. A network person is an informer who, according to the document, meets at least one of these specifications: they sent secret reports under a cover name, signed a declaration of enlisting, their activity acquired advantages. An operative contact person is any person, who was kept in records as “voluntary contact” or “occasional contact” by the organizations having produced the documents coming under the effect of this Act;; or a person who gave continual information as a volunteer without signing a declaration of enlisting. A third party is anybody who does not fall into any of the above mentioned categories. The documents contain the names and posts of lots of people of executive power (e.g. detectives, policemen, judges, attorneys, party secretaries, KISZ (Union of Communist Youth) secretaries. These names are not kept anonymous as their names and positions are public data if not data of public interest. The person observed can have access to the most data. They can read the documents kept about them and the documents necessary to identify the network person, operative contact person and employees who were in connection with their person. A third person can find out about the data kept about them. After the death of the person observed or a third person these rights are the close relatives’ legal due. A close relative is a relative in direct line, a sibling, a spouse or life partner if the marriage or the partnership existed both at the time when the document was made and at the time of the person’s death. An employee, a network person and an operative contact person can have access only to the data that is in connection with his or her person. Thus an employee is not entitled to see what they asked the victim during questioning, or whom and how they enlisted. Similarly, network persons cannot look at reports they made, as those are not their own data. Relatives of these people do not inherit the right to access. This rule has already caused conflicts. Namely, it must be separately decided in each case to which category the person involved belongs. A person may have been an employee in one period of his or her life and a person observed in another. It is more frequent for somebody to have been a person observed and an informer at the same time by the criteria of law. The people affected can get a free copy of all the documents they are entitled to see. In these copies we have to make anonymous all the data they were not entitled to see. Anybody can have access to and publish the documents that do not contain personal data. According to the main rule, personal data can only be made public after the time of protection expires. The time of protection is 30 years after the person’s death; if the date of death is unknown, 90 years after the date of birth; if this is also unknown, 60 years after the date of the document. In the case of some especially sensitive personal data the time of protection is lengthened to 60, 90, or 120 years. This data concerns race, nationality, minority or ethnic status, religion or other ideology, state of health, obsessions and sexual life. Written permission of the person affected can make exceptions from this main rule. Within the above mentioned frames, anybody who turns to our Archives can not only look at one particular document but they can carry out scientific research as well. Research is free, but the copies of the documents must be paid for. Data that has been legally made public or that is in connection with public personalities are exceptions: anybody can have access to it. Special rules refer to public personalities. No difference is made whether the person is a public personality now or used to be once. Anybody who has or used to have executive power, has been nominated for such position or has the task of forming the political public opinion is included. Anybody can turn to the Historical Archives to ask for data concerning the possible State Security past of such people; to find out whether the documents show the legal criteria of their being an employee, a network person or an operative contact person. In such cases, the Historical Archives has to ask the person affected whether they admit their being a public personality. This question must be put whether there are any documents about the person’s State Security past or not. (Otherwise the question asked would mean a judgement). If the person admits to his or her being a public personality, the Archives will answer the enquiry. If the person does not admit it, we have to deny the answer. The person who came up with the request may go to court and then it is the court’s decision whether the person affected is a public personality or not. The Archives will give or deny the answer according to the sentence. The collection area of the Historical Archives was defined by (1) 1§ Act III of 2003. According to the Act, the Archives’ collection comprises the documents of the former (State Security) Department III of the Ministry of Home Affairs and their legal predecessors, documents referring to the employees, secret employees and top secret employees of the Department III, and the documents of the Screening Committee, which controlled some prominent personalities who hold important offices or offices of public confidence and posts that form public opinion. The collection of the Historical Office (founded in 1997) and the Historical Archives (since 2003) is legally defined as sets of documents which came into being through State Security Organizations that existed in different eras and worked separately from each other concerning structure and document handling. After taking over, exploring and basically sorting the material, it was possible to create a homogenous archives system into which the documents of the State Security Organizations between 1944 and 1990 could be arranged. The main sections of this newly formed archives system, with a detailed classification of the documents, can be found in the List of Fonds and Collections. The archival material is divided into sections. This section includes the separately maintained functional documents of organizational unity formed by the former State Security Organizations. There are independent series within this section containing the documents of the Central State Security Organizations that worked in different periods, of the State Security Organizations within different police headquarters, and organizational units with similar tasks inside the Ministry of Defence and the Hungarian People’s Army. In this section there are sets of documents created and treated by several different State Security Organizations and organization entities or documents specially treated in certain respects. The main sets of documents in this section are the former so-called “Closed Archives”, which contain, first of all, the documents of the show trials; different operative and network files; documents referring to internment and deportation; informational reports for the Ministry of Home Affairs; and documents about staff, finance and employment. This section contains the majority of the documents of the Archives, investigation files, operation files, work files, enlisting files etc. Beside the files that were handled by the central operative archives, a separate series of files contain documents of the former Main Division III/I (Intelligence Service). Section 4 Collections (1910) 1944-2007) – volume: 103,29 linear metres. This section comprises different background materials used by the former State Security Organizations; a collection of decrees in connection with State Security; documents concerning different extreme rightwing organizations; a collection of items handed over to the Archives for safe custody; and contemporary State Security training films. In this section there are documents of the so-called “Screening Committee” which controlled certain persons performing important, public confidence and public opinion forming positions. The majority of the documents in the Archives are mainly the documents of the Division III/III, the so-called counter interior reaction division. With effect from February 1, 2000, contemporary regulations obliged the National Security Organizations to hand over to the Archives all the documents that had ceased to be of interest to them in respect of management. It was then that the collection was expanded with the documents of Main Divisions III/I (Intelligence Service), III/II (Counter Intelligence Service), III/IV (Counter Military Service), those of III/V (special services) and other internal documents relating to State Security. The documents that are still classified as secret and are still kept in the National Security Services must be checked every three years by the secret owners. If these documents cease to be classified secret, they will also be transferred to the Historical Archives. The Historical Archives is continuously receiving and processing the documents that can still be found with other organizations and, after necessary archives processes and according to legal regulations, the Institute wants to make them available for scientists or the citizens concerned. At the end of 2011, the quantity of documents kept in the Historical Archives was 3953,09 linear metres. More than two thirds of this quantity are documents of different types of files. The rest is made up of functional documents of the former State Security Organizations and the collections, background documents and contemporary registers created and used by those organizations. The Archives maintains mainly paper-based records, but we also have large quantities of contemporary security microfilm copies of investigation and operation files and Daily Operation Information Reports. during the thematic processing of these files all the information that may help us find the given document later, description of context, data concerning when and how the documents came to being, are recorded on our central database. Within the legal frames, our researchers have access to the central database of the Historical Archives and other electronic research aids both in the Reading Room of the Archives and on the Internet. Most of the documents kept by the Archives is of highly acidic structure, fragmented and heavily damaged by continuous use over the decades. The Historical Archives gained support for the implementation of the project under the title of “Implementation of complex document protection programme in the Historical Archives” within the framework of EEA and Norway Grants in April 2009. The entire programme involves the restoration, digitization, mass deacidification of the documents, furthermore, their non-classified digital copies will be publicly accessible. Under this project we have restored, de-acidificated and digitized over 1.3 millions of damaged pages.